It’s Friday the 13th, but don’t let that scare you away from designing a Halloween contest! There’s still plenty of time to design and publish a last-minute Halloween giveaway or contest that will totally bewitch your fans and followers. Halloween is all about fun! With all of the creativity that goes into building haunted houses, choosing costumes and setting up spooky outdoor decorations, it’s the perfect time of year to let your imagination run wild. Let the spirit of the holiday and these easy-to-execute campaigns inspire your upcoming marketing campaigns. Hashtag campaigns are fun and easy ways to gather user-generated content and to get people to help spread the word about your campaign. 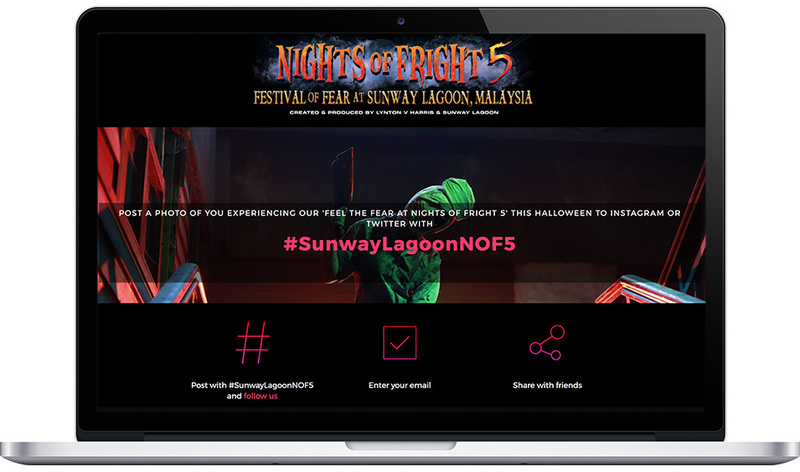 Sunway Lagoon had a neat idea with their Nights of Friday campaign. People who have visited their “festival of fear” are asked to post photos of their experience on Instagram and Twitter. There is nothing to give away, nothing to win. It’s just a fun way to share photos (and increase brand awareness). 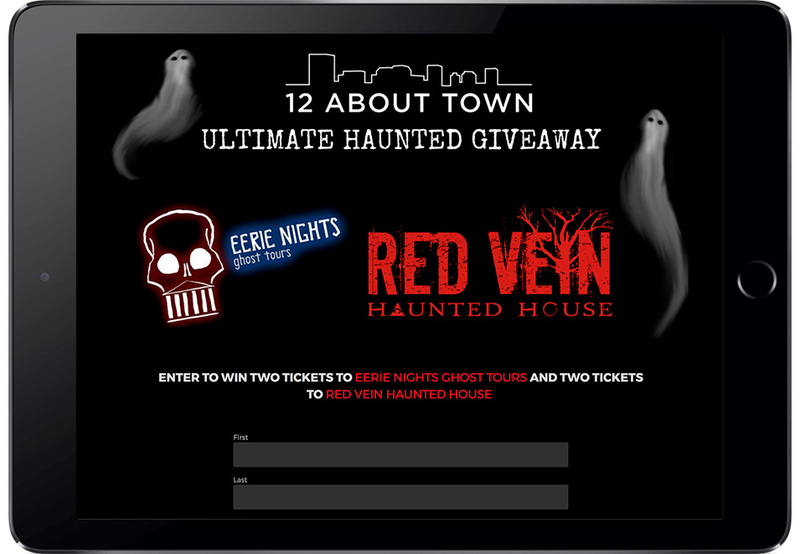 A sweepstakes with free tickets as the prize is a great way to get the word out about your event. Check out Twelve About Town’s giveaway. It’s simple and to the point; the campaign only includes a couple of links and the entry form. People who want more information about the ghost tour or haunted house can follow the links on the campaign. IDEA – Send an email autoresponder with details about your event after folks submit their entry to win tickets. Encourage people to show off their Halloween costumes and decorations with a photo contest. 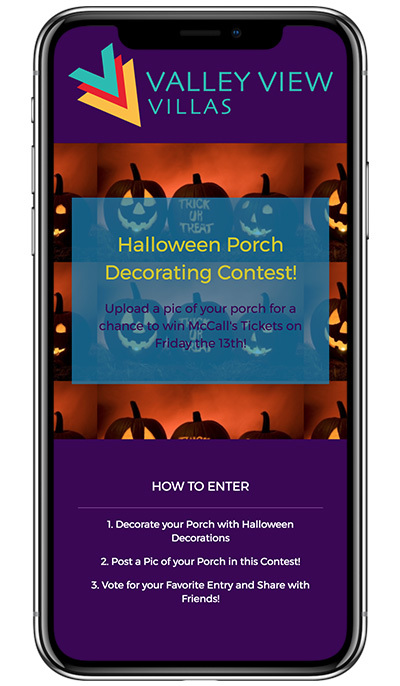 The porch decorating contest by Valley View Villas is a wonderful example of how to use a campaign to build community. The contest is targeted at the people who live in the Valley View Villas, and it encourages a little friendly competition among the residents. Halloween is all about details. From the costume to the makeup, everything needs to be coordinated to create a compelling costume. 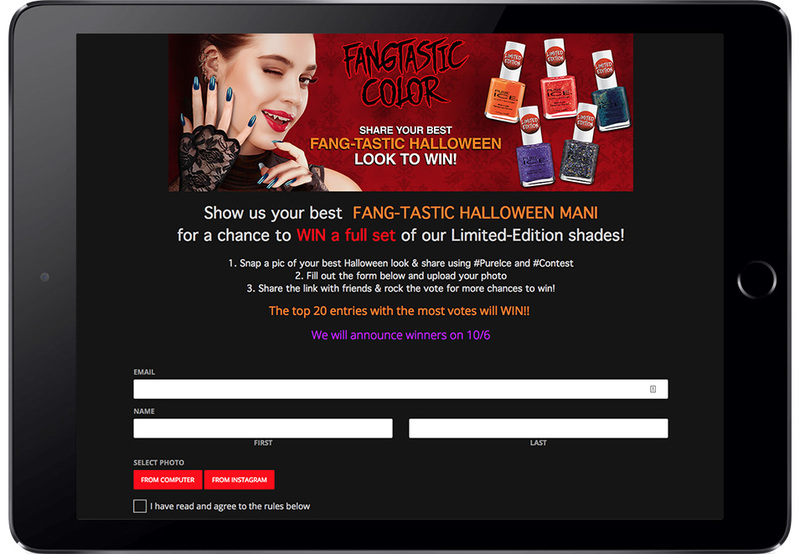 Pure Ice’s photo contest, where users submit their Halloween-themed manicures, is perfect for Halloween. It’s a smart blend of collecting UGC and building up some holiday hype. You could create a similar contest where you ask people to submit photos of their Halloween costumes, yard decorations, favorite recipes and so on.